Janak Patel Killed in Warner Robins Gas Station Robbery. Was This Tragedy Preventable? Janak Patel was reportedly shot and killed during a robbery at a Warner Robins Chevron station Saturday, January 13, 2018. According to The Macon Telegraph, Mr. Patel was working as a clerk inside the Chevron station convenience store when a suspect opened fire during an apparent robbery. Tragically, Mr. Patel succumbed to fatal injuries. WMAZ 13 reports, the violent robbery occurred only three hours after a fatal apartment shooting claimed the life of another man, less than a half mile away. Police are still investigating whether the two incidents are connected. 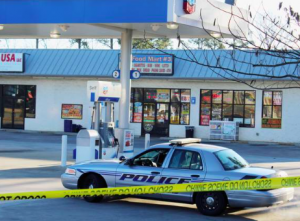 Did negligent security contribute to this Warner Robins gas station shooting? We represent individuals and families in Georgia who have suffered a tragic loss or injury as a consequence of negligent property security, and we have recovered tens of millions of dollars for our Clients. Read Our Legal Take to find out if the victim’s family may have legal avenues for justice and claims for substantial compensation in Georgia, or call now for a free consultation with out legal team: 478.246.1010. The Murray Law Firm questions the level of security provided to those at this property and whether this tragedy may have been prevented. What security measures, such as bright lighting, surveillance cameras, security patrols, and drop safes, were in place to protect indivuals at the time of the alleged robbery? By law, employers are required to provide a safe and secure workplace for their employees. As Mr. Patel was apparently working at the time of his death, his family will almost certainly be entitled to substantial workers’ compensation benefits. Additionally, should the property be owned by an entity other than Mr. Patel’s employer, the family may be able to pursue a negligent security claim. We Fight for Victims of Workplace Violence and Security Negligence in Georgia…Contact us Now for a Free Consultation.